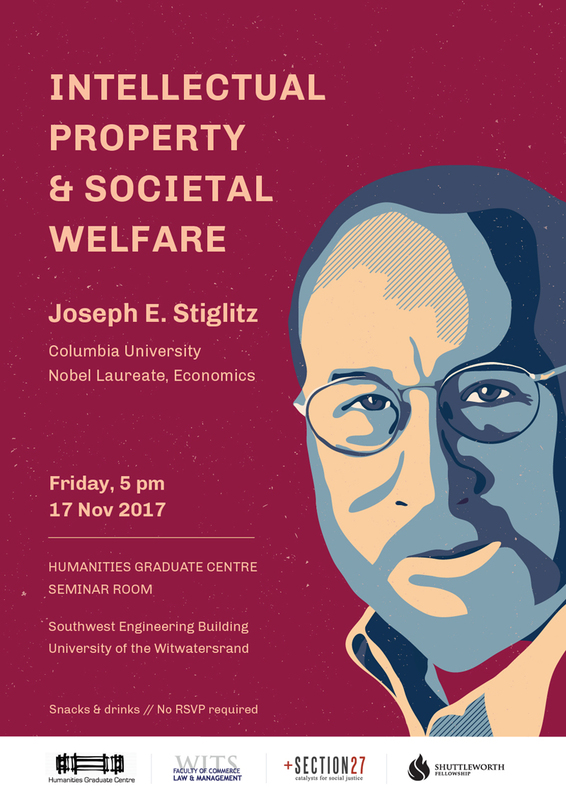 On November 17, 2017, the accessibsa project was delighted to host the renowned economist and Nobel Laureate, Professor Joseph Stiglitz, at Wits University in Johannesburg. The topic of his lecture was “Intellectual Property & Societal Welfare” – drawing from the paper he co-wrote for the accessibsa project (with Dean Baker and Arjun Jayadev). The event was held at the Humanities Graduate Centre at Wits University. Professor Stiglitz was in conversation with Arjun Jayadev, Marumo Nkomo, Umunyana Rugege and Malebakeng Forere. The event was moderated by Achal Prabhala, introduced by Eric Worby, and co-hosted by the Humanities Graduate Centre & the Faculty of Law, Commerce and Management at Wits University, as well Section27, in addition to the accessibsa project.